December 2016 Empire Aviation Group has added a third new Gulfstream G650 to its managed fleet. The G650 ultra long-range business jet, which was acquired by EAG for an existing owner upgrading a previous aircraft. EAG was involved in the entire process which included the acquisition, purchase, registration and the delivery of the aircraft. The Gulfstream G650 is a large cabin, Rolls-Royce powered business jet with a long-range cruise speed of Mach 0.85 and a range of 7,000 nautical miles/12,964 kilometers (nonstop) with eight passengers and four crew. The G650 can be configured for up to 18 passengers and offers the comforts of a wide cabin with large panoramic windows and low cabin pressure, and a bundle of inflight technology including broadband internet to keep passengers connected, informed and entertained, whilst putting them in control of the environment through a cabin management system. Advanced cockpit technology helps pilots improve aircraft performance. 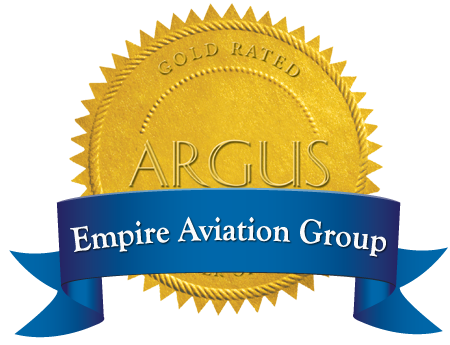 Empire Aviation Group has rapidly expanded its international operations over the last three years, with the group’s first fully fledged overseas branch in Bangalore, India; a dedicated US aircraft sales office in Scottsdale, Arizona, USA; new operations set up in Hong Kong; as well as a San Marino branch.